Stan Shipping Agency was registered in October 1994 in Gdynia as a Sole Proprietorship. 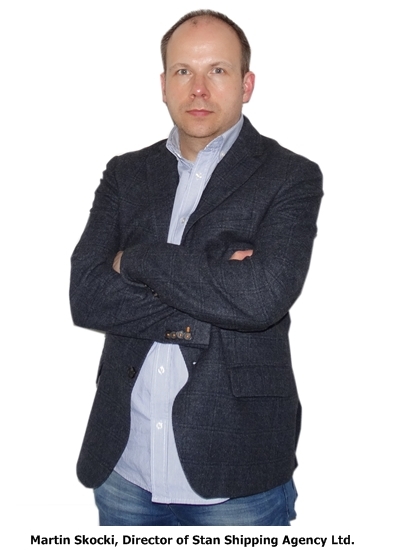 Its founder, Mr Stanisław Żurkiewicz, as a partner in the SeaBis Shipping Agency, was one of the founding members of APMAR (Association of Polish Manning Agents and Recruiters). The first headquarters of Stan Shipping Agency, were located in Gdynia, Al. Zjednoczenia (now Al. Jana Pawla II). During the first years of its operations, the company focused on the recruitment of officers, ratings and ship repair groups from Poland and other Eastern European countries for the Norwegian ship owners and managers. Also on training of manpower and agency services in Polish ports and shipyards. 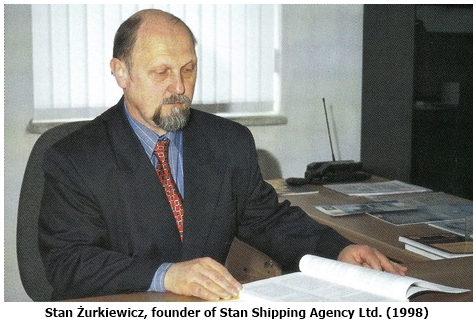 After purchasing the office in Gdansk in 1998, Stan Shipping Agency changed the form of business to a Limited Liability Company, and moved its headquarters to Gdansk at the same time closing the office in Gdynia. Implementing development plans, the company formed a business partnership and a network of cooperating agencies in Lithuania, Ukraine and Russia. As part of the strategy to establish close partnerships with Customers, Stan Shipping Agency Limited transferred part of the crewing activities to a newly created company called Geo-Marine and repeatedly changed ownership. After joining EU, the company’s activities were extended to the recruitment of workforce for shipyard, refinery, offshore and other industries, as well as the trade tests and related range of health & safety courses. In 2013, activities related to trade tests and training were separated from the structure of the company and taken over by a subsidiary, Offshore Training Centre. In subsequent years, the company was led by Messrs Stanislaw Żurkiewicz, Robert Kaczmarek and Michał Gosiewski. Today, that position is held by Mr. Martin Skocki. Stan Shipping Agency Limited has a Quality Management System ISO 9001, licence of Employment Agency and meets the requirements of the MLC 2006. To carry out tasks related to the recruitment and personnel management, the company uses dedicated and advanced IT tools. In 2015 the company finalised more than 1,800 employment contracts to 20 foreign employers. In January 2016, company website reported a record number of visits exceeding 50,000 hits. In order to balance supply and demand Stan Shipping Limited is conducting intensive marketing activities using for this purpose an associated equity company Nordic Link Services as well as agents and consultants abroad. 1998 - Change of activity to the limited liability company and the transfer of headquarters from Gdynia to Gdansk. 1999 - Implementation and certification of the quality management system ISO 9001: 2000 (Lloyd's Register). 2003 - Commissioning of one of the first online databases of seafarers and onshore staff in Poland. 2003 - Recruitment of the first land-based personnel to work in Norway. 2004 - Recruitment of the first land-based personnel to work in the UK. 2006 - Organization of the first trade tests for personnel from shipbuilding and oil & gas industries. 2007 - Launch of the updated website, which until April 2016 had more than 2,100,000 views. 2008 - Recruitment of the first land-based personnel to work in the Netherlands. 2011 - Upgrading the quality management system to ISO 9001: 2008. 2013 - Creation of Offshore Training Centre, whose aim is to organize specialized training and trade tests for industrial workers seeking jobs in foreign markets (www.offshoretraining.pl). 2014 - Recruitment of the first land-based personnel to work in Malta. 2016 - Obtaining the certificate issued by the Maritime Office in Gdynia, confirming compliance with the requirements MLC 2006. 2016 - Launch of new and modern website. 2016 - Headquarters moved to a new, larger building – “Odin House” in Gdansk Osowa. 2017 - New on-line database interface launched. 2017 - Renewal of the quality management system certificate in accordance with the requirements of ISO 9001:2015. 2017 - Recruitment of the first land-based personnel to work in Denmark. 2018 - Obtaining Document of Compliance (DoC) under the authority of the Government of the Kingdom of Norway. Company Safety Management System (SMS) meets requirements of ISM Code for other cargo ship type. 2018 - Recruitment of the first land-based personnel to work in Sweden. 2018 - Taking over responsibility as Technical Ship Management for live fish carrier vessel „Aqua Tromoy” flying a Norwegian Flag.